Your Vehicle Emissions Inspection Report (VIR) is a wealth of information about the emissions portion of your Virginia State Inspection. In Springfield, VA, and throughout Northern Virginia, motorists receive this document following the completion of the emissions portion of the Virginia State Inspection test. The specific vehicle tested in the Virginia State Inspection in Springfield, VA, its’ Vehicle's Identification Number (VIN), make, model, model year, engine size, cylinders, and mileage are located here. Included are the Gross Vehicle Weight Rating (GVWR) and Estimated Test Weight (ETW). Gross Vehicle Weight Rating (GVWR) is the maximum combined weight of the vehicle and its maximum load set by the manufacturer, printed on a permanent identification label on the vehicle; on the certificate of origin; and coded in the VIN. manufacturer and aftermarket information used to assign exhaust emissions standards and dynamometer resistance for exhaust emissions inspections. Results of tailpipe emissions testing and smoke inspection. Visual emissions inspection, testing specific components and on-board vehicle diagnostics systems inspected during your Virginia State Inspection in Springfield, VA. Passed - The vehicle passes all criteria required by the emissions inspection process to register with the Virginia Department of Motor Vehicles and legally operate on the commonwealth's highways. Failed - Vehicles are eligible for ONE free retest at the original inspection station within 14 calendar days of the failed inspection. Vehicles that fail must be repaired and re-inspected until a pass or waiver is obtained. The VIR indicates failed item(s). The inspector will give you a Emissions Repair Data Form. Repair work performed and/or approved by a certified emissions repair technician from a certified emissions repair facility, such as Wiygul Automotive Clinic, is applied toward an emissions inspection waiver. Waiver - If your vehicle passes the visual inspection, gas cap pressure test, visible smoke inspection, and repairs are complete, tailpipe emissions test results can still exceed applicable standards. 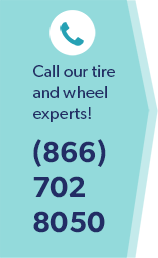 Have repairs performed by a Certified Emissions Repair Technician at Wiygul Automotive Clinic, or another reputable Certified Emissions Repair Facility. Then you can register your vehicle for one cycle to legally drive on Virginia’s roadways and interstates. Failed/Invalid - A failed or invalid test due to rpm and/or dilution is an inspection not completed accurately. The Virginia State Department of Motor Vehicles can ask for the bar code and TIN, used to transfer and verify inspection information in the registration renewal process. Remarks includes data regarding free retests, waiver provisions, and warranty information. Diagnostic Trouble Codes prove vehicle performance during emissions inspection. These receive correction in the diagnostic and repair process. The inspection station that performs your Virginia State Inspection in Springfield, VA, their location, and the name of the Emissions Inspector, are all shown here. This section also includes emissions inspection analyzer system details. Shows the signature of the emissions inspector who performed your emissions inspection. Now that you better understand the Emissions Report from your Virginia State Inspection in Springfield, VA, you can proceed to Wiygul Automotive Clinic for your Virginia State Inspection needs in Springfield, VA..If you have further concerns about your emissions inspection, you can contact the Air Check Virginia program office.